Before Van Diemen’s Land and The Hunter, there was The Tale of Ruby Rose (dir: Roger Scholes, 1989). 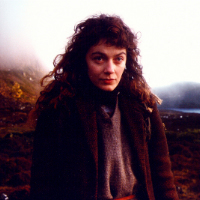 This talk will discuss this little-known independent Tasmanian film in relation to the increasingly popular genre of Tasmanian Gothic and the centrality of female subjectivity in the film and in the genre more broadly. Emily Bullock completed her PhD on Tasmanian Gothic in 2009 at Macquarie University, which continues to haunt her.